No more studio fee hustle for rapstress Oday Paccy real names Pacifique Uzamberumwana after opening up her own recording studio worth Rwf 10M. Showbiz fraternity speculated recently that Paccy went to Dubai for a vacation but little did they know that she was up for a business trip to purchase studio materials. 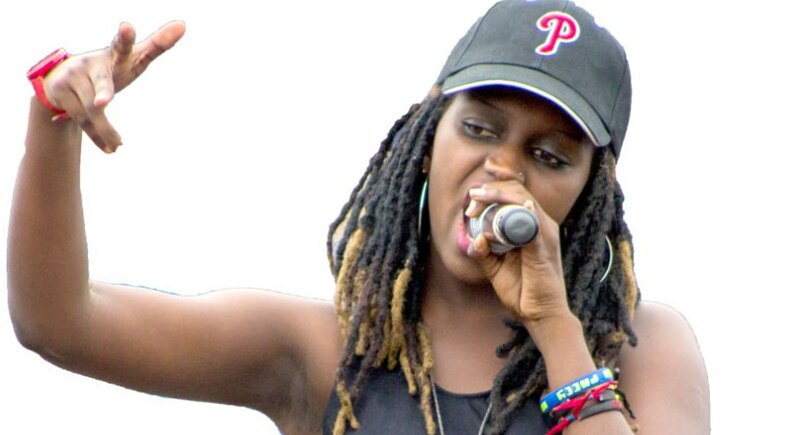 According to the rapstress, the studio aims at promoting new talents who can’t afford studio fee as well as giving back to community for believing in her as a musician. “Before I started music, I had a dream of owning a studio at my place and help out young talented musicians to upgrade their talents because I know how hard it is when starting music especially when it comes to studio fee,” says Paccy. According to the rapper, the Empire Records studio equipments cost her more than Rwf 10M and still needs more equipments to be on the level she wants. Being one of the first producers of Paccy, Junior Multisystem was her best choice because he knows her flows and kind of music style that suits her better. Back in 2010 when she was just fresh on music scene, Paccy fell in love with her producer Lick Lick and later she gave birth to a daughter although they separated. The single mother has worked with different artists including Knowless Butera, King James, Alpha Rwirangira and many more. She boosts of songs like Ndi uwawe, Weekend and a controversial song dubbed Ibyatsi.